← Friend Finder Now Available Through Parent Portal!! Jingle Jog and Holiday Tree Sale–Please register online or download a form to send in! Halloween candy wrappers laying around everywhere? Thanksgiving Day FEASTS being planned? Holiday parties, goody baskets, and baked treats beginning to overcome your normally healthy lifestyle? Start this holiday season off right by joining your fellow Winnona Park family and friends on Saturday morning, December 5th for a special holiday event that combines the Jingle Jog with the Tree Sale on the Winnona Park Field. The Jingle Jog, which is being sponsored by Fleet Feet Decatur this year, will begin at8:30am with a “Jog-a-thon” style Fun Run for kids and adults. Cost: $5.00 per person or $15.00 per family. Festive holiday attire is encouraged, so dig out those cherished reindeer antlers and Santa hats and have some morning fun with your fellow Wildcats, friends, and neighbors! The Tree Sale will follow the Jingle Jog at 9:00am and end at 3:00pm. The tree sale will also be open on Sunday December 6th, from 11:00am-3:00pm while supplies last. Frazier Fir Trees are delivered that morning, freshly cut from a farm in North Carolina. There are several sizes to choose from, with prices ranging from $65 – $85. Checks and credit cards will be accepted. Receive a discount when you register for the race by December 2nd! The cost is $5 per participant, or $15 per family. After December 2nd, the price increases to $10 per participant or $25 per family. Printed registration forms should have come home in your child’s backpack last week, however they never made it home due to the plumbing incident on Thursday. Please download one at the bottom of this page with our handy waiver, which is required to participate (you can also complete this step via online registration–no need to send in the form if you are registering online!). Complete both forms and turn it in with your payment. 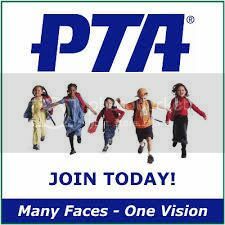 Make checks payable to WP PTA.